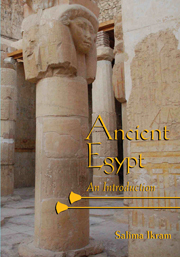 Ancient Egypt : an introduction / Salima Ikram. 1. Egypt – Civilization – To 332 B.C. 2. Egypt – Social life and customs – To 332 B.C. I. Title.